The most recent and innovative product of the Pirelli Ultra High Performance range, developed as the original equipment tyre for uncompromising sports cars. The P Zero Corsa System combines a Directional tyre (front axle fitment) with an Asymmetric tyre (rear axle fitment). The Directional tyre improves handling and precision when cornering. The Asymmetric tyre features longitudinal grooves that reduce the risk of aquaplaning, whilst the wide outer shoulder with its narrow grooves enhances roadholding when cornering. Developed from Pirelli’s motorsport activities, P Zero Corsa is made with a "racing-type" compound. It combines exceptional steering precision, excellent braking and good performance in the wet. Ideal for road/track use. 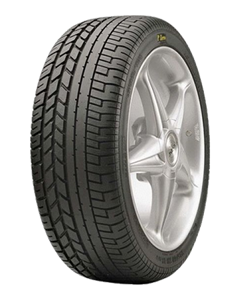 Sorry, we currently do not have any tyres with the P Zero Corsa Assimetrico 2 pattern in stock.